I’m always looking forward to entertain the audience with my music in the best possible way. FRANKIE IS GERMAN – AMERICAN DESCENT. HIS LOVE FOR MUSIC BEGAN AS A CHILD AND HAS REMAINED A MAJOR PART OF HIS LIFE TODAY. AS A TRAINED CHOREOGRAPHER AND DANCER HE WORKED FOR SEVERAL YEARS FOR FASHION SHOWS, TV AND MUSIC VIDEOS. THROUGH HIS PASSION FOR MUSIC AND CLUB LIFE, FRANKIE FINALLY STARTED HIS CAREER AS A DJ IN MUNICH. 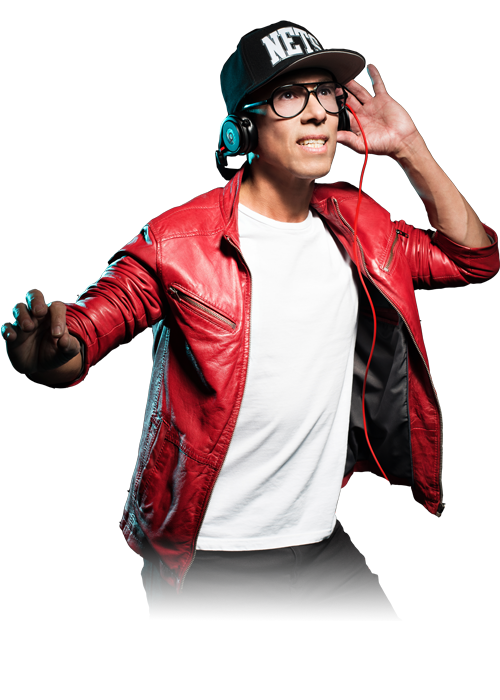 FRANKIE HAS BECOME A RENOWNED DJ IN THE ELITE CLUB AND EVENT– SCENES. HE ALLOWS DIFFERENT GENRES TO UNITE IN A SPECIAL WAY TO FORM A WHOLE WORK AND IS THEREBY ALWAYS QUALITATIVELY AT A HIGH LEVEL, WITH WHICH HE DELIGHTS HIS AUDIENCES. FRANCE, HUNGARY AND HOLLAND, WHERE HE PLAYS FOR SUCH PARTIES LIKE AUDI, PORSCHE, BMW, EMPORIO ARMANI, SWATCH OR BUDDHA BAR, JUST TO MENTION A VIEW. WHERE FRANKIE PROVES HIS WORTH AND LEAVES NO SPACE FOR ANY DOUBTS ABOUT HIS COMMITMENT TO HIS WORK AND MUSIC. I’M ALWAYS LOOKING FORWARD TO ENTERTAIN THE AUDIENCE WITH MY MUSIC IN THE BEST POSSIBLE WAY. MUSIC IS A UNIVERSAL LANGUAGE AND IT CONNECTS PEOPLE AROUND THE WORLD. EVERYBODY SHOULD HAVE A GOOD TIME AND A CELEBRATION.